Not all multi-disc converters are created equal. With BD's new Triple Torque Force, less is more. To start, our in house CNC machined cover is designed as one piece which prevents warping, improper balancing and leakage. With our one piece cover design, we were able to maintain the factory height thus eliminating crowding of the pump and the possibility of premature wear. Not stopping there we have engineered the dampener for a better balancing by riveting it in place, eliminating welding which can cause warping and out-of-balance. Each dampener spring is hand picked to ensure softer engagement. Added notches to the clutch material to prevent fluid adhesion thus ensuring that even in fluid coupling the clutches will always have lube. With engineered tighter tolerances and self-centering 36-external / 32-internal trapezoid-shaped clutch teeth design that enable more contact surface to ensure the clutch plates properly align resulting in less friction wear, longer converter life cycle and firmer drivability. The clutch plates are also precession ground flat for smooth operation and consistent wear. Not only will this converter last longer, it also has 3x the torque holding capacity. 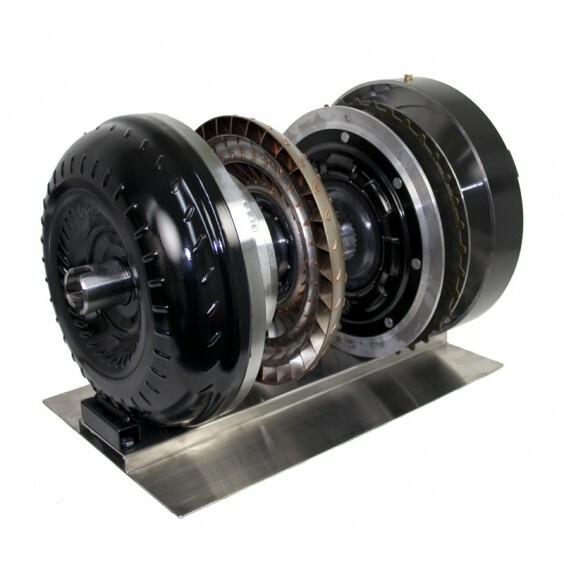 As with BD's original Double Clutch X-Converter, the Triple Torque Force comes with BD's engineered cast aluminum X-Stator that the Fin lengths, angles and curvatures are designed to deliver a fluid coupling engine RPM transfer of up to 95% vs. 75% with stock stators. 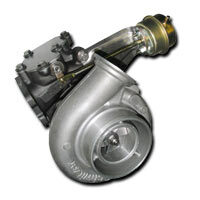 This efficiency reduces engine temperature, increases fuel economy and better matches the torque curve of the engine resulting in more torque and horsepower being delivered to the ground. Now available, our Big Fine Spline Triple Torque Force converter to match the BD Track Master Transmission or Stage-5 Built-It kit. To install the BD Big Fine Spline Triple Torque Force Converter without Track Master Transmission or Stage 5 Build-It parts kit, our Shaft & Support kit is required which includes the billet Big Fine Spine Shaft and support to install into existing transmission. Now available, our Big Fine Spline Triple Torque Force converter to match the BD Track Master Transmission or Stage-5 Built-It kit. To install the BD Big Fine Spline Triple Torque Force Converter without Track Master Transmission or Stage 5 Build-It parts kit, our Shaft & Support kit is required which includes the billet Big Fine Spine Shaft and support to install into exisiting transmission. With engineered tighter tolerances and self-centering 36-external / 32-internal trapezoid-shaped clutch teeth design that enable more contact surface to ensure the clutch plates properly align resulting in less friction wear, longer converter life cycle and firmer drivability. 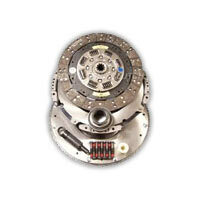 The clutch plates are also precession ground flat for smooth operation and consistent wear. 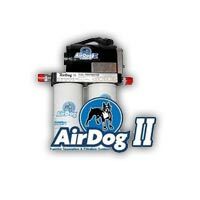 Not only will this converter last longer, it also has 3x the torque holding capacity. As with BD's original Double Clutch X-Converter, the Triple Torque Force comes with BD's engineered cast aluminum X-Stator that the Fin lengths, angles and curvatures are designed to deliver a fluid coupling engine RPM transfer of up to 95% vs. 75% with stock stators. 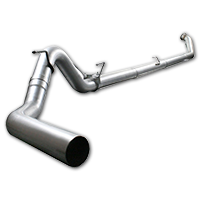 This efficiency reduces engine temperature, increases fuel economy and better matches the torque curve of the engine resulting in more torque and horsepower being delivered to the ground. 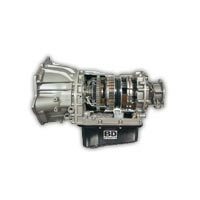 Further to all of our enhancements, we were able to reduce the over all weight of our converter by 12lbs compared to our competitors thus resulting in better fuel economy, less wear and tear, and, overall superior customer satisfaction. The BD Diesel Performance Converters will last longer and 3x more holding capacity over stock converters. 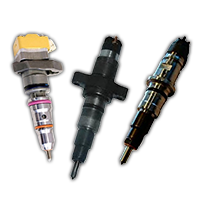 The Triple TorqueForce Converters use a redesigned Stator that will deliver 95% RPM transfer over the stock 75% RPM using longer more angled Fins. 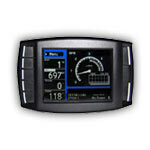 These features will help to provide increased fuel economy and lower engine temperatures. That's not all, the 12lb weight reduction also frees up extra Horsepower and cuts down on extra wear and tear over other Performance Converters! These bullet proof CNC Machined covers are a one piece design proven to prevent warping, leakage and improper balancing. This One piece Cover cuts down on pump crowding by allowing BD to maintain the factory height of the converter, this will in turn eliminate premature wear of the pump and converter nose. BD has also riveted their converters opposed to welding them together to cut down on out of balance issues and warping. BD also hand picks their dampening springs to ensure smooth engagement for maximum driver comfort. Notches have been added to the clutch friction material to maximize clutch fluid dispersion. 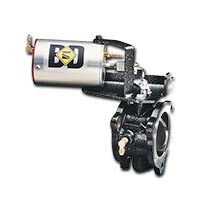 The BD Diesel Performance Big Fine Spline Converters are made to be used with the BD Track Master Transmissions or the Stage 5 Built-It kit. These converters can be installed in your BD Track Master transmission, Stage 5 Built-It. 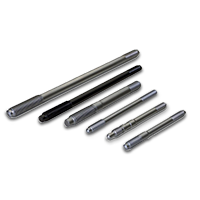 They can also be used in your existing transmission with the purchase of the Shaft and Support Kit Part Number 151-1071218BS. For applications requiring maximum effort that exceed 400 rear wheel horsepower, BD now offers the Triple TorqForce Chevy Duramax triple disc clutch torque converter. Perfect for heavy towing or racing, the Triple TorqForce features smooth lock-up clutch engagement thanks to BD's exclusive CNC-machined billet aluminum stator. It's the baddest torque converter you can purchase! It's the baddest torque converter you can purchase! For applications requiring maximum effort that exceed 400 rear wheel horsepower, BD now offers the Triple TorqForce Chevy Duramax triple disc clutch torque converter. Perfect for heavy towing or racing, the Triple TorqForce features smooth lock-up clutch engagement thanks to BD's exclusive CNC-machined billet aluminum stator.